Michael S. Chuven is a shareholder of the Firm and has extensive experience in resolving insurance coverage, construction litigation, and commercial litigation disputes. On the insurance coverage side, Mr. Chuven counsels clients relating to general liability, errors and omissions and commercial automobile policies and has handled disputes involving bodily injury, environmental, toxic torts, construction, and personal and advertising injury claims. On the construction and commercial litigation side, Mr. Chuven routinely represents professionals, including architects, engineers and construction managers, as well as property owners and managers in matters involving negligence, breach of contract, statutory violations, and regulatory violations. Mr. Chuven also handles matters involving attorney and accountant malpractice. Mr. Chuven also advises corporate clients on business-related matters including employment issues and contract negotiation. Mr. Chuven handles matters in the trial and appellate courts in New Jersey and New York, as well as arbitration proceedings in the AAA. Prior to joining the firm, Mr. Chuven served as law clerk to the Honorable John S. Holston, Jr., Superior Court of New Jersey, Appellate Division, for the 2006-2007 Term. He also interned for the Honorable Virginia Long, New Jersey Supreme Court, from September 2005 to May 2006. 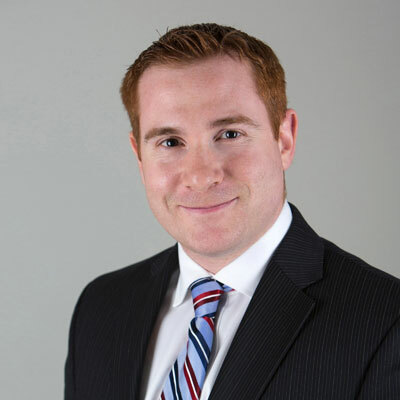 Mr. Chuven joined the law firm of Coughlin Duffy LLP in September 2007 and ultimately served as of counsel. A New Era: Motor Carrier Coverage Form & CSA 2010 presented to one of the Firm’s clients (2010). Intel Corp. v. Am. Guar. & Liab. Ins. Co., 51 A.3d 442 (Del. 2012). Mr. Chuven has argued before the Appellate Division in New York and most recently successfully defeated an order to show cause brought against a large national corporation in which the Plaintiff sought to restrict the corporation’s rights. Recently, Mr. Chuven represented an architect and obtained a dismissal after successfully arguing the affidavit of merit statute applied to Plaintiff’s claim after Plaintiff failed to produce the affidavit in the time prescribed by the rules. Mr. Chuven has also recently represented a national insurance company and was awarded summary judgment on a highly contested late notice defense. Mr. Chuven also recently represented another domestic insurance company and successfully obtained summary judgment based on an exclusion in a homeowner policy. Mr. Chuven was part of a team that successfully defended a national parking center against a negligent security claim. Mr. Chuven also successfully tried a case for a national insurance company and won a directed verdict after cross-examining the Plaintiff’s lead witness and having the witness change testimony on the stand.